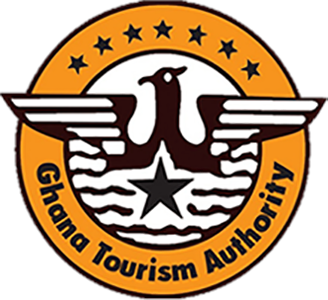 The Eastern Region of Ghana is a rich blend of dramatic landscape, historical relics and traditional cultures. Although it is close to Accra, the two neighbours are in stark contrast. The ancient atmosphere of the Eastern Region blends effortlessly with a the21st century. The region is full of the nation’s history. The birthplace of the country’s famous cocoa industry can be found at Mampong – Akwapim, where Ghana’s first cocoa farm was established by Tetteh Quarshie using seeds originally brought from Fernando Po Island. From this small beginning grew one of the country’s main industries. For those with a particular interest, the Cocoa Research Institute and its arboretums at New Tafo are opened to visitors. The historical villages and towns of the Easter Region speak of the rich culture in the east of Ghana. Sightseers should take the opportunity to visit the original Presbyterian School buildings in Akropong and the house of Tetteh Quarshie in Mampong. In addition to AKropong and Mampong, with their many historical buildings, there is the regional capital, Koforidua, a pleasant traditional town with comfortable hotels and a busy market. The Krobo Mountains and the Akwapim Ridge overlook a beautiful stretch of countryside with opportunities for long walks and hikes. The Eastern Region is famous for its tropical forests and cascading waterfalls. The spectacular Boti Falls in the forest reserve at Huhunya, are best visited between June and August. The Begoro Waterfalls, surrounded by attractive woodland and forest, is the ideal place for a picturesque picnic. Many visitors are drawn to the botanical gardens at Aburi which opened in 1890. Just an hour’s drive from Accra, the garden contains a rich collection of tropical flora that attracts scores of special birds and butterflies. This venture site with its tranquil paths has always been a popular excursion for Ghana’s city dwellers. Also worth visiting is the forest of Atewa-Atwirebu, 10 km north of Kibi, which is home to hundreds of birds and butterflies. The eastern area is dominated by Lake Volta, one of the world’s largest man-made lakes and great engineering achievement. The lake was created by the construction of the Akosombo Dam, a major source of hydroelectric power. Lake Volta offers splendid opportunities for cruising and excursions, while a weekend trip to Dodi Island is recommended. Fishermen can also enjoy sport fishing for tilapia, perch and other varieties in the lake. The beautiful Kwahu Scarp-it is breath-taking in beauty and is home to the Kwahu people. On top of the scarp are a number of a well planned, picturesque communities with beautiful homes. Further north of the scarp is the Afram Plains, a traditional zone of wooded savannah land. The River Volta is at its broadest here, providing opportunities for boating and angling. Trips to Digya National Park are also possible.